But......never one to be called a quitter (actually that's not true--I'm okay with being a quitter--I've quit a lot of things) I'll keep trying to impress you. However, I will admit--it's been a long week so this is definitely sub par effort and I'll claim that. "A" for effort though that I thought to snap this picture a few days ago, right? I actually thought about pulling my stove out to clean behind it (I've never done it once since we moved in eight years ago) and show you the remnants but then I thought, "Nah.....I bet a lot of people never clean behind their stove--that won't pass." I thought about showing you the mop after I scrubbed my slate kitchen floors for the first time in over a year, but again.......it seems no one mops their kitchen floors either so it wouldn't be all that impressive. And then there's this discrepancy of what it really means to mop your floor--hands and knees, a wet mop, a swiffer.......and it goes 'round and 'round. This pair of "I had an accident" (Georgia--not me) underwear laid in my shower for almost a week before I did anything about them. And two times I moved them into my sink while I gave Georgia a bath and then put them right back into the tub when she was done. Yep, Chris and I just showered around them and over them. And then I figured they were clean anyway, after eight or so showers had happened in their presence, so I just let them dry out and put them back in her drawer. But they really did lay there in all their "accident" glory for about a week before I took care of them. Rest assured....it was just pee. But knowing you all........that's probably not what you wanted to hear now is it? And I'm guessing this is all a little tame for you--but please know--if you could have watched my behavior as a lazy, turn on the TV, cranky, no patience, yell about play-doh, and yearn for something to break to unleash my frustration with typical three old shenanigans you'd know what the real 'For Real Friday' was. It's a good thing Georgia has learned how to say, "I forgive you," from me.......because it sounded nice coming out of her cute little face when I apologized to her for losing my patience and being grumpy. Here's to a better weekend. And some favorite pics thanks to my iPhone this week. 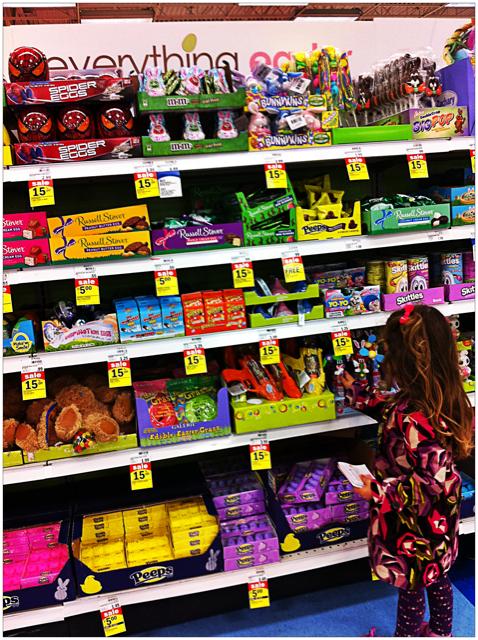 How great are candy aisles? i like this one. this is legit. rotting wizz definitely counts as gross. "You like me even when I'm not listening?"